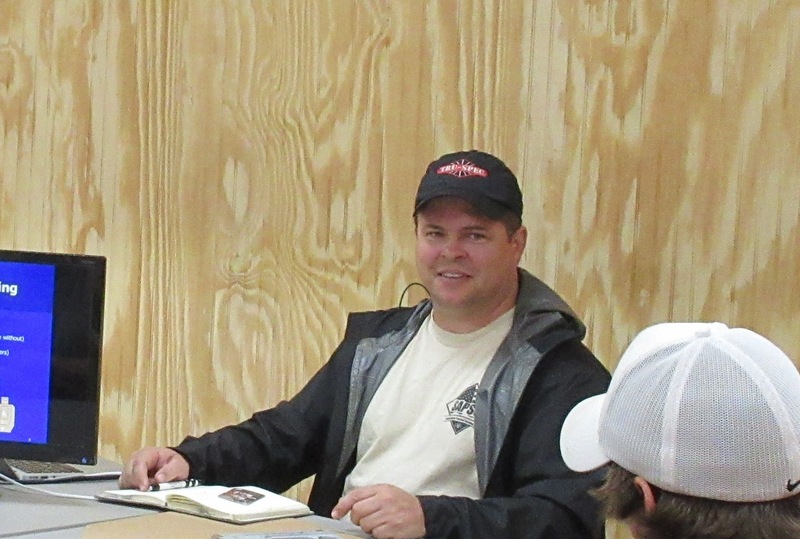 Randy Arrowood is our Staff Instructor for competition specializing in USPSA, Steel Challenge and 3 Gun Instruction. A Georgia native, born and raised in the metro Atlanta area with some kind of gun in hand from an early age. His first competitions involved beer cans from the back porch. From there, he learned the safe manipulation of various firearms and enjoyed hunting and plinking with friends and family. In 2009, he bought his first centerfire handgun and was told about an indoor competition and stuff just got real. After some basic instruction on fundamentals from some of the local gurus, he got serious about training and studying shooting sports. Through independent study, frequent competition and training with many top shooters, Randy has developed an ability to break down the required skills to compete at a high level and help others to develop. After implementing a more structured training program in 2011, his match performances began to improve as well. At the South Carolina USPSA Sectional in 2012, he won his first major match in Single Stack and then at the USPSA National Championships, he won "A" class in Limited. After that, the match wins continued and he reached USPSA Grand Master classification in Limited in 2014. Currently, his primary division and discipline is Single Stack USPSA competition. Shooting Accomplishments: - USPSA Limited Grand Master - Top 20 at USPSA Single Stack Nationals (2015, 2016) - Top 10 at IPSC Classic Nationals (2015, 2016) - Multiple Area, State and Section Championships Primary Sponsors: - Akai Custom Guns: http://acguns.com - Tru-Spec: http://tru-spec.com - SNS Casting: http://snscasting.com - Sevigny Performance: http://sevignyperformance.com/ - Shooters Connection: http://shootersconnection.com/ Brian Schacht is from Virginia Beach but now calls Alabama his home. He served fourteen years in the Army as an Infantryman serving in all leadership roles from rifle team leader to rifle platoon sergeant. Brian was selected to join the Army Marksmanship Unit in 2012. He managed both the service rifle and pistol team and helped to standup the Instructor Training Group (ITG). He was the LEAD INSTRUCTOR and COURSE MANAGER for twelve different marksmanship courses to include the Marksmanship Master Trainer Course, Close Quarters Marksmanship, Master Pistol Instructor Course. He has trained all levels of shooters from novice to the most experienced. 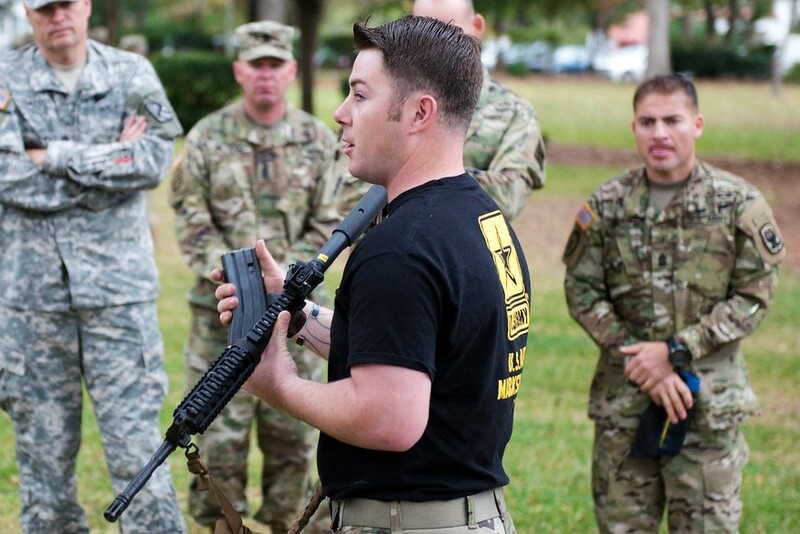 Brian has consulted on numerous marksmanship efforts ranging from the new modular handgun for the Army to writing the updated pistol and rifle manuals. Although he enjoys competing in defensive pistol matches and USPSA his passion remains in training he believes it’s a calling to pass down his experience and knowledge in marksmanship training to achieve an outcome of better shooters and a culture change in how training is being conducted. *Warning – GPS does not always give correct directions. Call us.